Well, anything's possible, but I strongly doubt it. 2D sprite-based 8-bit and 16-bit graphics are seen as art styles that have been mastered and perfected. 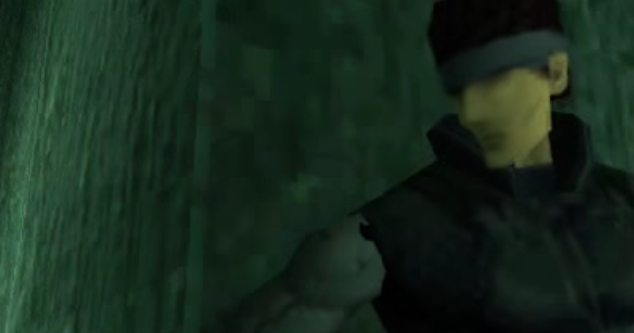 32-bit and 64-bit games that are going for 3D polygons are seen as the industry's earliest attempts at the realism we have today. More on that later. The fact is, is that for indie developers that DO have games that look like they're from the Fifth Generation of gaming, gamers deride them. Look at Percy's Predicament on the Wii U, for example. 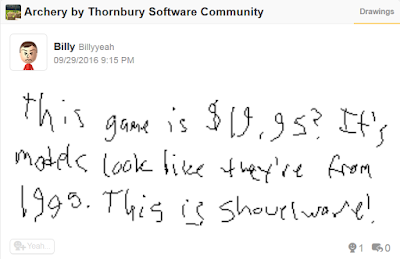 People think that game is an unfinished beta, and judged it just by the graphics. This is the same group of gamers that supposedly live by the “gameplay over graphics” mantra. It's not just Percy's Predicament. 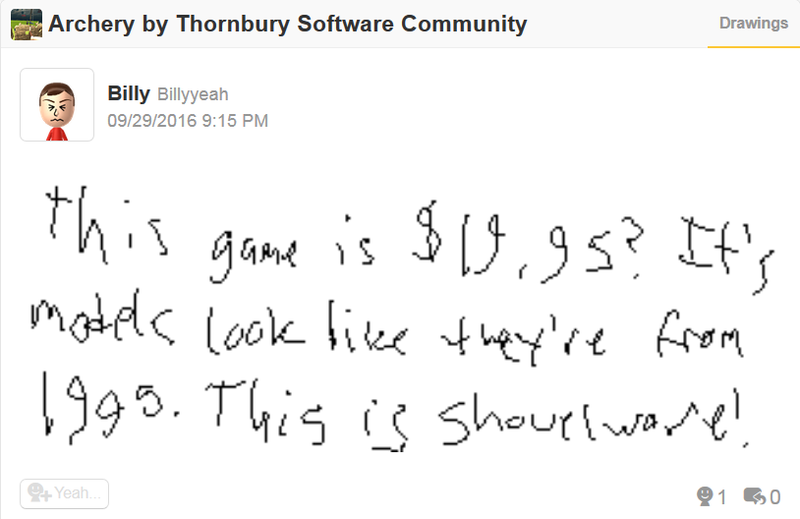 Check out that Miiverse post for Archery by Thornbury Software, bashed as “shovelware” just because of how it looks. (It plays badly, too, but that's besides the point, since he wouldn't know that just by looking at a screenshot.) And that's the reality we live in. Gamers have so many options, and many of those are low-quality. What's a heuristic for gauging low-quality? How the product looks. Even if a game intentionally looks polygonal, it'll be deemed shovelware. Top row: Donkey Kong on the Atari 2600 to Donkey Kong on the Super Nintendo Entertainment System. 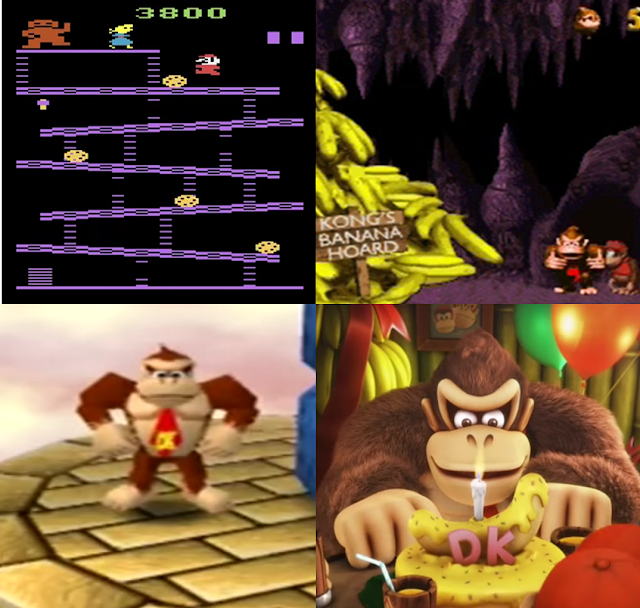 Bottom row: Donkey Kong on the Nintendo 64 to Donkey Kong on the Wii U. When people feel nostalgia for something, they only think about the good qualities. So when people look back fondly on Super Mario 64, they don't think about its garbage camera and blocky graphics, but instead on its expansive, exploratory level design, along with selectively great songs like Dire Dire Docks. When people feel nostalgia for Generations I and II of Pokémon (such as Pokémon Red or Pokémon Gold), they don't think about how, if you catch a Pokémon but your current box in your PC is full, you have to let the new capture go. 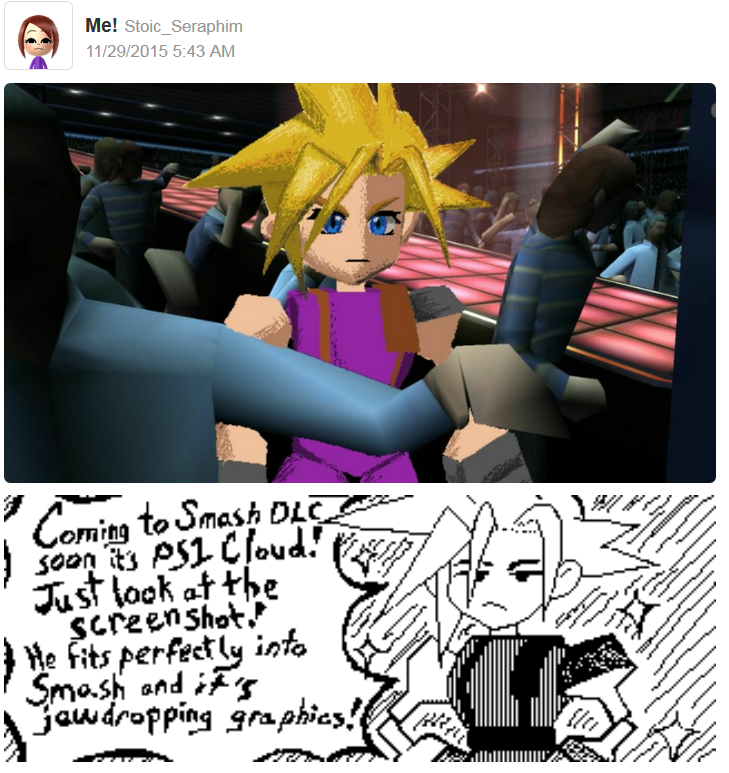 “Coming to Smash DLC soon it's PS1 Cloud! Just look at the screenshot! Fun fact: Cloud in the original version of Final Fantasy VII didn't even have a mouth. Of course, one major exception to this whole article is Minecraft, which intentionally looks blocky and absolutely hideous. Somehow, despite that, it's all of the rage among the otherwise-judgmental youth. (What's the favourite game of that Billy fellow from Miiverse who trashed Archery? That's right, it is Minecraft.) For whatever reason, all of the new crop of post-New Super Mario Bros. Wii Koopaling fanbase participants are also simultaneously Minecraft fans, and so I get a lot of friend requests from people with hideous Minecraft profile pictures on Miiverse. It should've never come out on the Wii U, I tell you. I have no idea how Minecraft gets away with it. Maybe you can tell me in the comments. This article was brought to you by a reader request. To submit your own request, or to submit another one, check out and comment in KoopaTV's Requests page! Ludwig was happy to write this one, and don't let the month-and-a-half wait time tell you otherwise. Do you think Ludwig's analysis was accurate? Is he missing something, or is he spot-on? Ludwig prefers the 16-bit and 32-bit (non-3D) graphical styles the second-best, behind cel-shaded. KoopaTV's sponsored retro nostalgic games article had nothing to say about graphics, and for good reason. If you really wanted to see an example of penguin hands, check out Pokémon Sun and Moon's special demo, here! With technology advancements, issues such as user-unfriendly PC boxes are a thing of the past. I won a code for Percy's Predicament a few years ago, and let's just say I didn't keep the game for very long. Graphics aside, the game is too bland and repetitive. Do not download it even if it's free. Well, that's a shame, since we like the developer. I mean, they name-dropped us on their Kickstarter! That is a convincing argument you made there. I'm curious if you had another point of view prior to my argument. I learned about this work due to being an obsessive Wreck-it Ralph fan back then. The regressor wanted to make a Sugar Rush 64 fangame because Sugar Rush was supposed to be made in the 90's according to Wreck-it Ralph lore but either Disney artists were too lazy or didn't care to make it look low poly when the game was seen by humans or arcade cabinets were advance enough in comparison to home consoles then. Anyway as you can see the regressor was overly ambitious but then never followed through with this fan game. Also I was a huge Spyro fan back then. Spyro himself looks good in the PS1 days for the limitations of the time but even I have to admit the NPCs looked pretty bad. Ah, but your question was specifically concerning indie games succeeding, which implied a new IP. You and others are fascinated by low-poly models like that because you're already a fan of the franchise, and you'll like almost anything it spits out. Whether that be plushies, concerts, or alternately-coloured amiibo. A little indie making something without an existing fan following is going to be shovelware. Is that fair? No, but...that's how the market is.